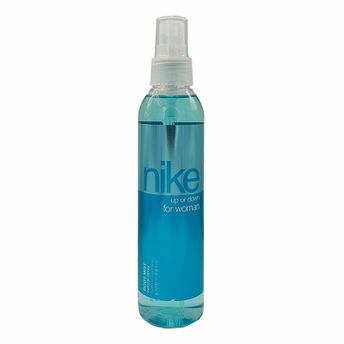 Nike Up or Down Body Mist for women will bring out the sensuous seductress you with its oriental fragrance. The top notes of bergamot, tangerine, cassis, white pepper combined with the heart notes of Bulgarian rose essence, peony, freesia and frangipani flower and base notes of musk, sandalwood and iris creates a mesmerising blend of aroma for the exquisite you! This aroma infused body mist will soften, hydrate and scent your skin, with a cooling and harmonious effect on the senses.